Mensusa https://www.mensusa.com/articles/enhance-your-style-statement-with-an-alligator-belt.html Enhance Your Style Statement With An Alligator Belt A perfect style statement plays an important role to create your impression. And to hold a flawless style statement, you have to take care of each single thing of your attire. And an alligator belt is the thing which is enough to give your outfit an extraordinary look. Now-a-days there would be hardly found a single person who is not conscious about his style statement. Being in fashion is not only fancy rather it plays an important role to depict your personality to everyone. And a fashion statement can't be considered as perfect until you maintain the accuracy of it from top to bottom. But most of the time people do not care much to concentrate on the little things and thus destroy their appearance. A perfect example of this type of ignorance is the selection of a belt. Most of the men do not care much to select a proper belt with their attire considering it to be least important but a belt plays a vital role to highlight your outfit. So selection of a proper belt is quite important and you can be sure to choose a perfect belt with your outfit when you choose to wear an alligator belt. Accessories are always acclaimed by people throughout the world because a little accessory can give your outfit the touch of exclusivity. And a belt is that kind of accessory which is a must have to complete your attire. A belt can take a major role to highlight your entire outfit and with an alligator belt you can be sure to become successful to serve this purpose. It would be right to say that a perfect belt with your clothing can draw the finishing touch of your attire. All you need to do is to choose the perfect belt for you to complete your appearance. Basically the alligator belts look somewhat rustic. So these are perfect to provide you a casual and dashy look. But when the question is to select the right belt with your attire, and you are fond of wearing an alligator belt, you can select it without thinking twice because alligator belts are also available in formal designs. Alligator belts can appear in various designs and various colors so in whatever outfit you want to present yourself either it is formal or a casual look, your best option will be to choose the alligator belts. The very name of the belt signifies that the belt is made of exotic leathers. 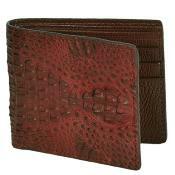 And there is nothing to say that leather products are always in the favorite list of most of the people. 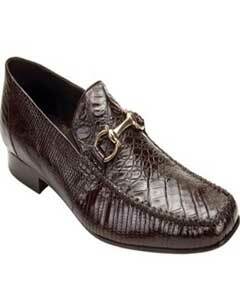 And when the leather comes from the skin of an alligator, it is sure to attract everyone's attention. That's why only an alligator belt is enough to give your attire an expensive tag. But if you want to shop within your budget you are also free to get huge options in www.mensusa.com where you will get numerous designs in alligator belts and each of which will be surely a unique piece in your closet.